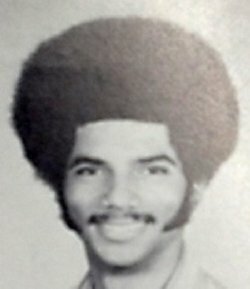 Eric Himpton Holder, Jr. was born on January 21, 1951 in the Bronx, New York and was raised in Elmhurst, Queens. His father (1905-1970) arrived in the U.S. from Barbados and worked as a real estate broker. Holder’s mother, Miriam, is American-born and the daughter of immigrants from Saint Philip, Barbados. Who would think one could be fined or even jailed simply from speaking? No, this has nothing to do with the old laws against profanity. 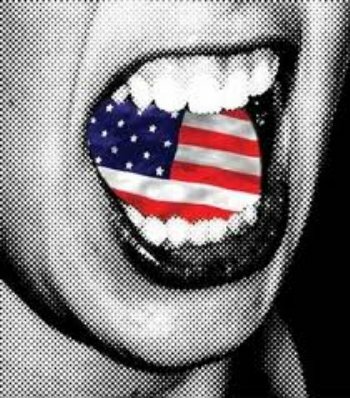 This is punishment for simply speaking an opinion about something, or someone, or a lifestyle with speech that is not considered, “Politically Correct.” That term, by the way, was coined and introduced by Adolph Hitler as he set out to subdue all people and control their lives. Thought control is an important element in raising a dictator and keeping him in power. Is it men in general who suffer sexual abstinence anxieties (SAA)? Or does the disease especially target politicians? The answer seems to be both. MilesTones conducted a purely irrational survey and found that 11 out of 10 men acknowledge a Weiner Problem, named for Congressman Anthony Wiener (D-NY). Since the de-panting activitiies of the Beltway Congressman was unbuckled, the medical profession has paid close attention to what appears to be a new strain of acute Obsessive Compulsive Disorder among politicans addicted to mating rituals which result in sexual over-drive symptoms that are, without treatment, impossible to brake. Once you start down the path of redefining marriage to include anything other than the exclusive union of a man and a woman, it's not long before those who firmly disagree with that redefinition begin to see their values come under assault. And that is just what has happened in Illinois. Christian bed and breakfast owners are being sued by homosexuals for not allowing the use of their facilities for a gay "civil union" ceremony. And since (as of this June) the state of Illinois legally allows such unions, the complaint is over discrimination, and the Illinois Attorney General's office is investigating. The owner of the first B&B, the Beall Mansion of Alton, Ill., had told the complainant, Todd Wathen of Mattoon, IL, that they only let out their premises for weddings. The Christian owners of the second, Jim and Beth Walder of TimberCreek Bed and Breakfast of Paxton, had a similar response. A judge in Great Britain has ruled that a Christian couple can no longer serve as foster parents due to their religious views that homosexuality is wrong. Yes, really. It's come to this. The couple, Owen and Eunice Johns have been foster parents to over twenty children, but were banned from the program by social workers in 2007 as a result of interviews associated with the program where they expressed their opposition to homosexuality because of their faith. Now a British court has upheld that ban. The Associated Press reported that judges at London’s Royal Courts of Justice determined that laws protecting homosexuals from discrimination take precedence over the couple’s religious beliefs. Of course they failed to explain just what that has to do with anything. I don't think it's lost on anyone who knows absolutely anything about history that England is not a theocracy. But (at least until this point it seems), that hasn't stopped anyone from having their own personal religious beliefs. “We have been excluded because we have moral opinions based on our faith, and we feel sidelined because we are Christians with normal, mainstream, views on sexual ethics,” Mrs. Johns said. The radically liberal 9th Circuit Federal Court of Appeals has overturned a lower court and found that a San Diego war memorial, shaped in the form of a cross, is unconstitutional, simply because it is on public land...which would constitute a government endorsement of religion. Really? Just curious, but does anyone really believe our government "endorses" religion? How could a government that sanctions the killing of a million or so unborn babies every year be said to "endorse" religion? Capping a legal dispute brewing since the late 1980s, the 9th U.S. Circuit Court of Appeals reversed a lower-court decision that threw out a legal challenge to the hilltop cross brought on behalf of Jewish war veterans. The appeals court, recognizing volatile feelings generated on both sides by the case, wrote that America's war veterans can and should be honored, "but without the imprimatur of state-endorsed religion."